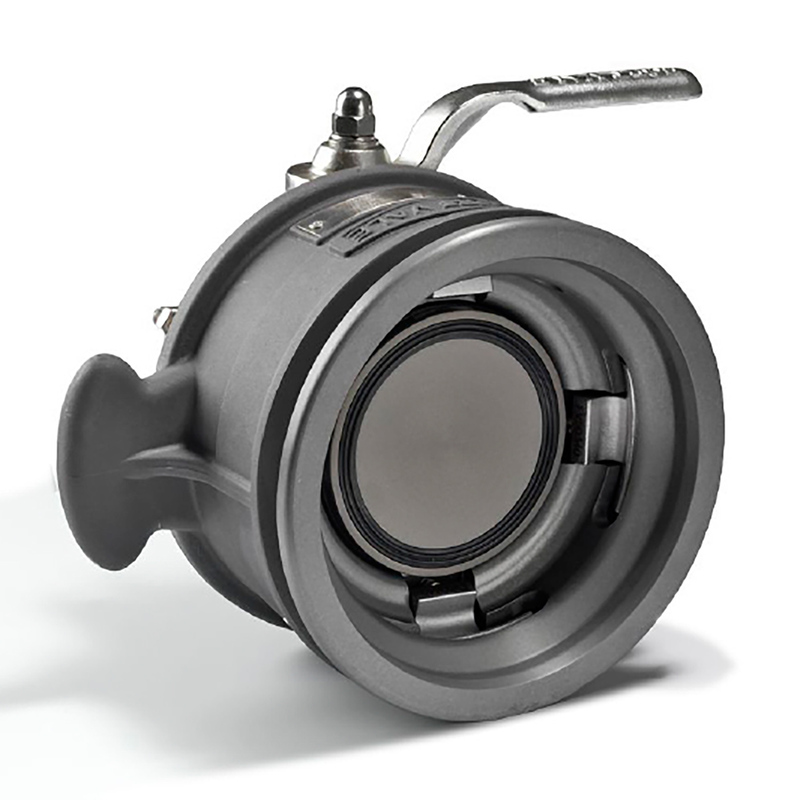 Safeload Manual API Coupler – Designed for bottom loading with a unique wrap-around trigger design that follows the profile of the loading adapter, covering more than 60% of its circumference. 4” TTMA inlet flange. Outlet connection complies with API RP 1004. Materials of construction – hard anodized aluminum, nitrited steel and stainless steel. Fitted with Viton B seals and stainless-steel handle as standard. Operating instructions included. Options – Semi-automatic and high-pressure versions. Available with ball-end aluminum handle. Compliant with ATEX Group II, Cat 2; EN 13083 & API RP1004 (2003).